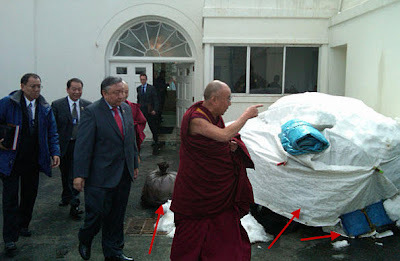 Source: At White House, the Dalai Lama sidesteps trash. After meeting with the President the Dalai Lama leaves by a side (or is it back?) door. Another picture of him skirting the trash here.